This greatly revised edition of an influential 1999 book consolidates its authoritative advocacy of the New Lex Mercatoria (NLM). Since the publication of the first edition, self-regulation and private governance in international business have gained world-wide recognition. 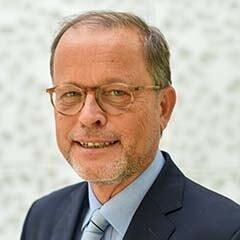 Three dynamic commercial law initiatives in particular demonstrate that, in spite of the long-lasting dispute about the nature and dogmatic underpinnings of NLM, legal theory and international practice have accepted that transnational business law is open to the ‘codification’ of its contents. The UNIDROIT Principles of International Commercial Contracts, the Principles of European Contract Law, and (most recently and dramatically) the TransLex Principles at www.trans-lex.org all draw their legal conclusions from observing the real-life phenomena surrounding regional and global integration of markets and foreign direct investment. This new edition presents an advanced elaboration of the author’s ‘Creeping Codification’ thesis based on the TransLex Principles, an Internet-based method using an ongoing, spontaneous, and dynamic codification process which is never completed. The TransLex Principles contain black-letter texts of 128 principles and rules of the NLM with comprehensive, constantly updated comparative law references from domestic statutes, court decisions, doctrine, arbitral awards, and uniform laws. An annex to this book contains a synopsis of the wealth of materials available on the TransLex web site as well as a rare personal account of one of the “fathers”of the NLM, Philippe Kahn. International legal practitioners and academics alike have long complained about the inadequate legal framework for international trade and commerce. This book, with its far-reaching theoretical and methodological analysis of the doctrine of an autonomous transnational economic law, clearly opens the way to an independent and workable third legal system alongside domestic law and public international law. It offers international practitioners (contract negotiators, arbitrators, attorneys and other representatives of the parties in international arbitration proceedings) with a powerful and reliable instrument to apply transnational commercial law in daily legal practice. Preface to the Second Edition. Preface to the First Edition. List of Abbreviations. Table of Cases and Awards. Introduction. Part One: The Theoretical and Methodical Foundations of the New Lex Mercatoria Doctrine. 1. Traditional Concepts to Overcome Deficiencies in the Application of Domestic Law in Transnational Commercial Contexts. I. Inadequacy of Domestic Law as a Legal Framework for Transnational Commercial Transactions. II. Escaping the Dilemma of the International Legal Process. III. The Changing Paradigm of International Commercial Law: Privatized Law-Making. IV. Summary. 2. The Dogmatic Foundations of the New Lex Mercatoria Doctrine. I. The Status Quo in the Discussion on the Concept of a Transnational Commercial Law. II. Traditional Objections Against the New Lex Mercatoria Doctrine. III. Summary. Part Two: The New Lex Mercatoria in Practice: New Approaches towards the Codification of Transnational Commercial Law . 3. Previous Projects for the Codification of Transnational Contract Law. I. Bilateral and Regional Projects. II. Projects for the Global Unification of Contract Law. III. Summary. 4. Informal Approaches towards the Codification of the New Lex Mercatoria. I. Restatements of International Contract Law. II. 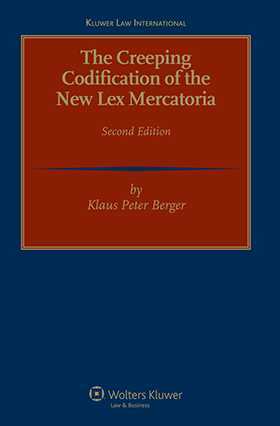 Escaping the Codification Dilemma: The ‘Creeping Codification of the New Lex Mercatoria’. III. Summary. Conclusion. Bibliography. Annexes. Index.